If your iPhone 3GS has a broken or faulty proximity sensor you will experience issues such as your screen does not turn off during a phone call or your iPhone 3GS screen brightness is not auto dimming or brightening in different light conditions, then your iPhone 3GS proximity sensor is broken or faulty and will need to be replaced with a brand new Apple part. 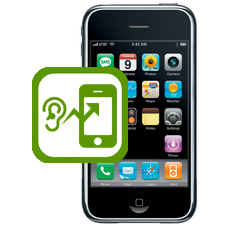 Typical symptoms are the screen does not dim during a phone call, or the auto brightness fails to function when enabled. Screen rotation can also fail when the iPhone is rotated.